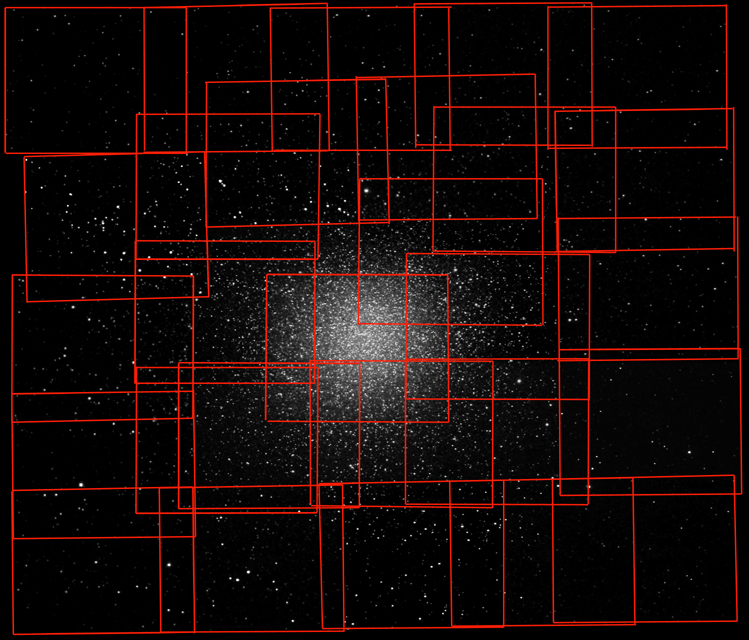 It is (just) possible to create mosaics without making an imaging plan. 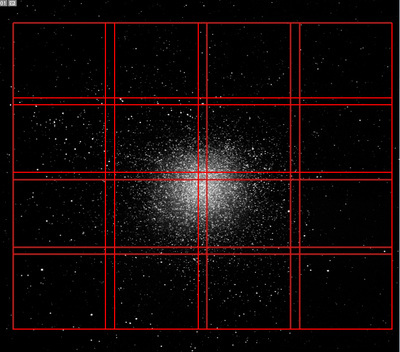 For example, after imaging a panel you can slew the camera to an adjacent spot in the sky and try to remember what stars were included in the image just taken so that you can leave a sufficient overlap. That might work as between the new panel and the one just imaged but what about trying to line the new panel up with earlier images, as for example in a different column or row? Experience shows that this rather primitive method will result in a somewhat chaotic pattern of images that have inconsistent overlaps and may even leave gaps that need to be filled in. In truth with this "method" you are really just flying blind. An example of using this hit and miss "method" is a mosaic made by the author before developing Asimoplan. It is of Omega Centauri NGC 5139 using a camera having a very small field of view. It took 29 separate image panels to finish the mosaic as shown in the first image below. 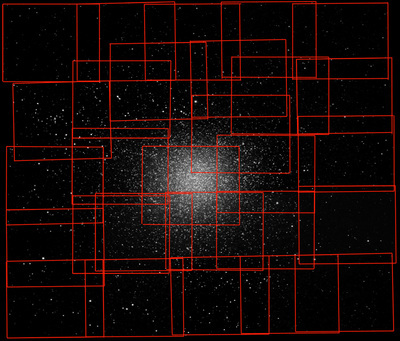 Had Asimoplan been available for use at that time basically the same image could have been achieved with only 20 panels (5 x 4) using a 20% overlap as is illustrated by the second image below. Indeed, given Asimoplan's ability to deliver aiming accuracy, it would have been quite realistic to use a 10% overlap to get an even larger overall mosiac for the same 20 panels as shown in the third image below. To carry the comparison further, the last image below shows that almost the same overall size as the original mosaic can be achieved using only 16 panels (4 x 4) and a 10% overlap.